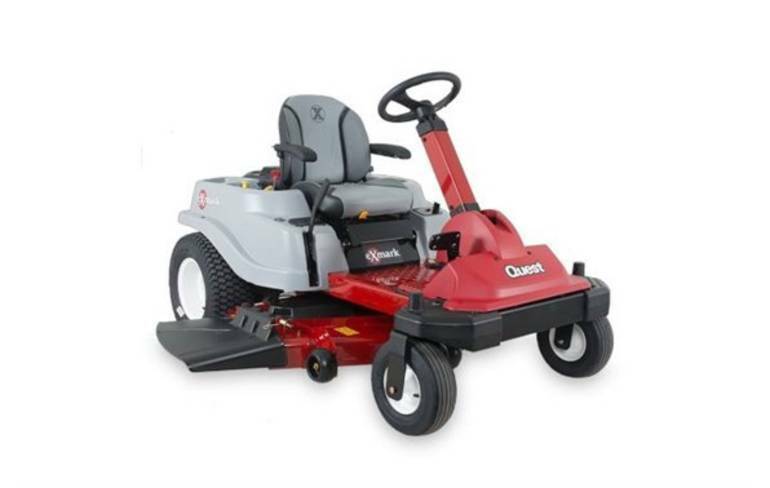 2015 eXmark QSS708GEM50200, FeaturesEasy-to-Operate: The front-steer Quest combines the comfort of driving with a steering wheel and the superior productivity of a zero-turn rider.Smart Park: The park brake engages automatically whenever the operator gets off the seat, or when the key switch is shut off. The brake disengages simply by depressing the foot pedal.Key Choice: This advanced safety feature allows the operator to select whether or not to utilize the cutting deck in reverse. If the key is removed, the deck will become disengaged in reverse.Controllability: Giving you a perfectly mowed lawn in a variety of terrains. All Other pictures are kind of Other HD motorcycles picture was taken, including motor fuel gauge, engine, engine mounts, tires, fuel tank, the car handles, lights and so on, 2015 Exmark QSS708GEM50200 full-screen viewing,2015 Other Motorcycles today Price: $5,549 .